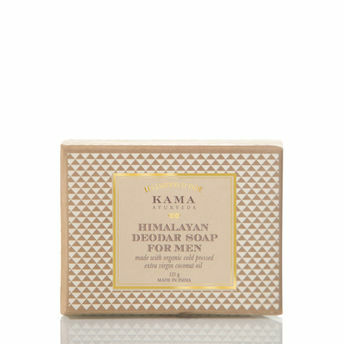 Made with organic extra virgin coconut oil and pure Apricot and Cedar wood oil from The Himalayas, This soap is specially prepared for Men.Organic Extra Virgin Coconut oil rich in fiber, vitamin and minerals softens and helps relieve dryness, removes dead skin cells and has natural antioxidants to increase elasticity of the skin which delays aging. Cold Pressed Apricot oil rich in Vitamin E & A provides rich source of anti oxidant which inhibits the cell damages of free radials in the body caused by environmental effects such as, ultra violet rays, smoke and other chemicals. Apricot oil absorbs easily and is light and non-greasy. It moisturizes, heals and protects mature and sensitive skin. 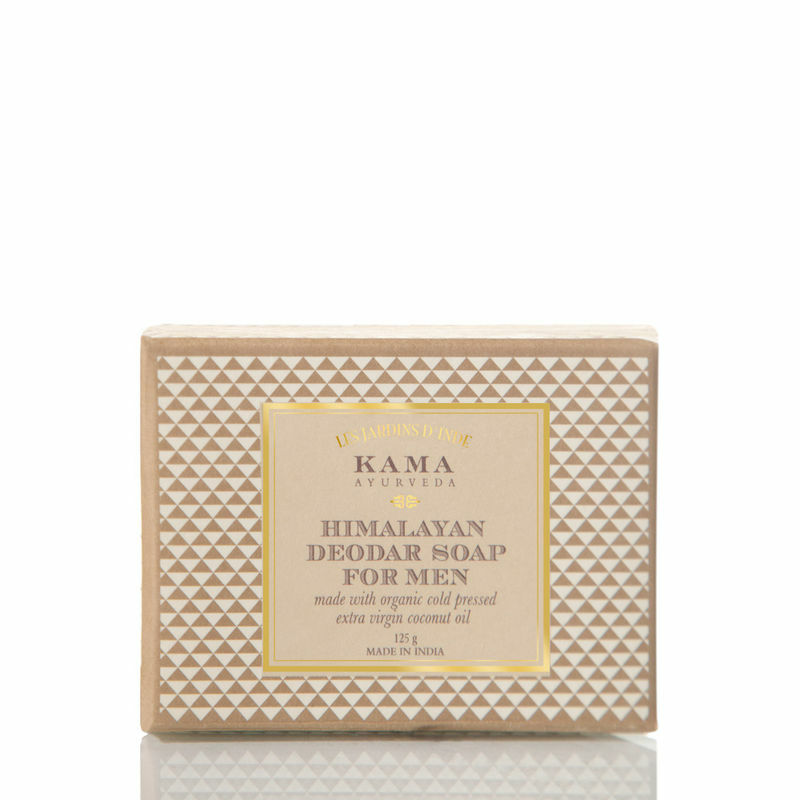 Himalayan Deodar Oil is refreshing and has astringent qualities that help remove excess oils from the skin and also has deodorizing properties. Being a natural handmade product there is bound to be variations in scent, shape and shade.